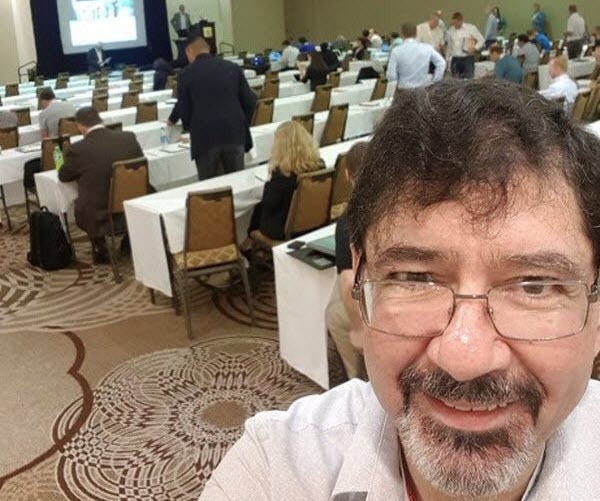 In September 2018, one of the premier technical conferences in the area of liquid silicone rubber manufacture was held in Anaheim California, LSR 2018. Over 180 industry leaders and silicone rubber manufacturing experts from across the globe gathered together to present and discuss technological and scientific developments in silicone and related materials, their manufacture and their applications. Romar’s technical development director, Carlo Cartini, was there, as a part of Romar’s position of being at the centre of technology in this vital area of specialist production. As an industry leader in LSR molding in Australia, Romar is uniquely able to provide solutions to the issues of bringing products to the market. Whether it is in medical devices, automotive, electronics or consumer products, Romar can provide new and innovative solutions for them. Solutions can come from new materials. The conference provided insights into new materials that are only just coming onto the market and previews of materials that are in the development pipeline. These materials may offer a significant advantage to applications that are being designed right now. Solutions can come from process developments. Tailoring the production method to the outcome required needs the ability to have the latest methods either on hand or in development. The conference presented worldwide best practice for moulding, whether it was 1,000 items or 100,000,000. Solutions can come as a whole package. One of the trends that became evident at the conference was the return to manufacture in high value countries. By using automation and full turn-key operations, a packaged answer that allows customers to retain control of their product and still be cost competitive is becoming a common outcome. Solutions can come through collaboration. The conference brought together experts from all the major manufacturing centres of the world and all brought their particular specialities to the fore. Romar has worldwide reach in being able to liaise with all of these experts and bring their knowledge to your issue. We are industry leaders because of our consistently high quality output. Customers around the globe trust the Romar brand. Chat to us about your silicone or plastic micromolding requirements.